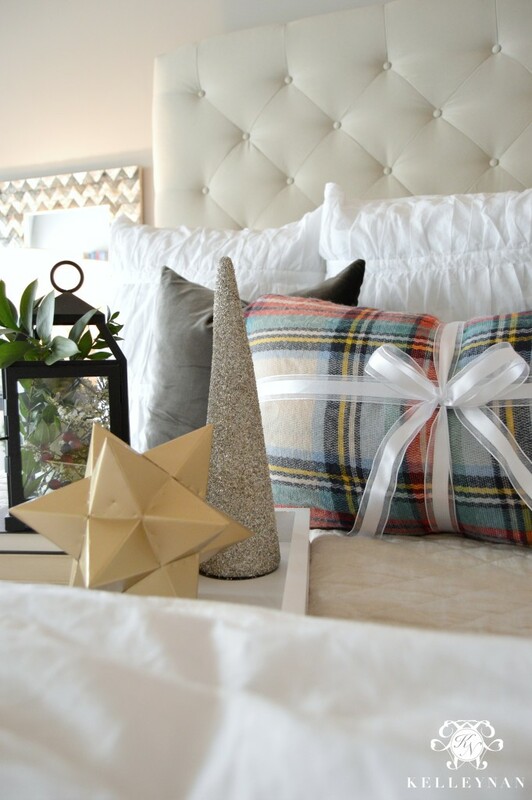 From bold buffalo check to gingham and tartan, plaid is everywhere this season. 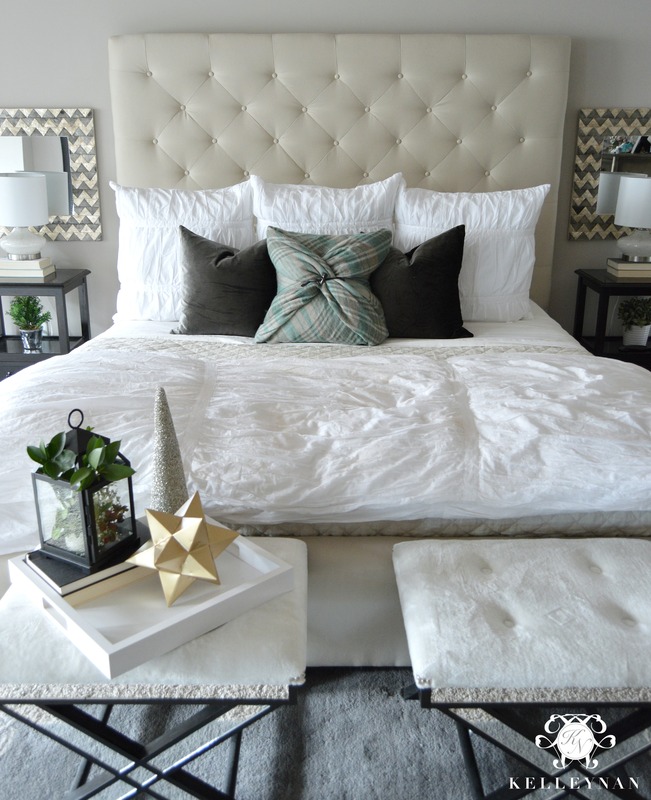 I love the way that regardless of the color, it immediately screams “cozy-Christmas right here!” in any space. 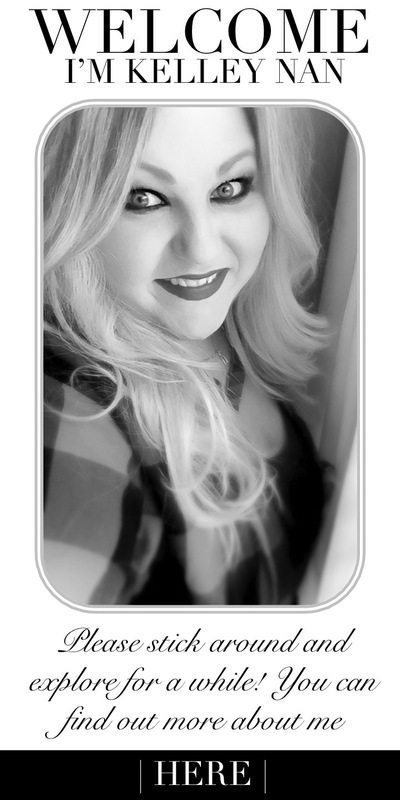 I couldn’t wait to infuse my own pops of plaid, but soon realized that I didn’t actually have any. And, if I were to add one more pillow to “the pillow closet”, my husband may divorce me. Just kidding! (well, kind of haha). While I don’t have any plaid pillows, I do have a lot of plaid blanket scarves. A LOT. 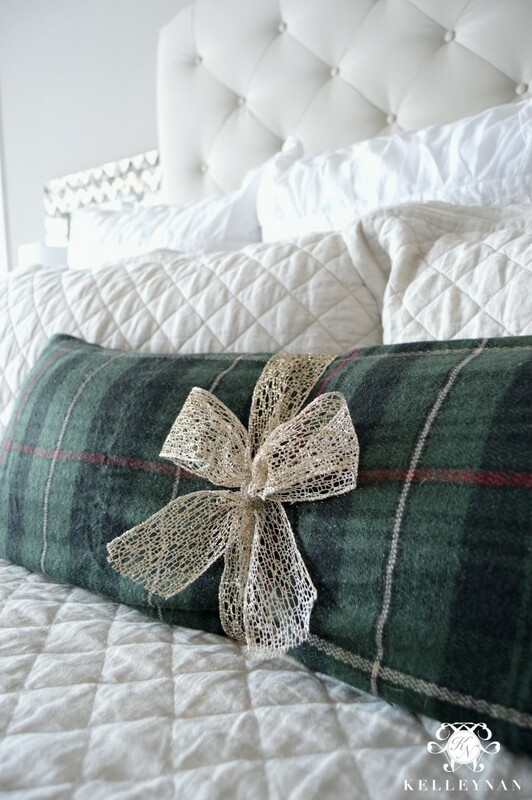 I love seeing them used as throws, and while I am not much of a DIY-er, I thought I could come up with a no-sew pillow cover pretty easily. I improvised as I made my way along, pretending like I was wrapping packages. 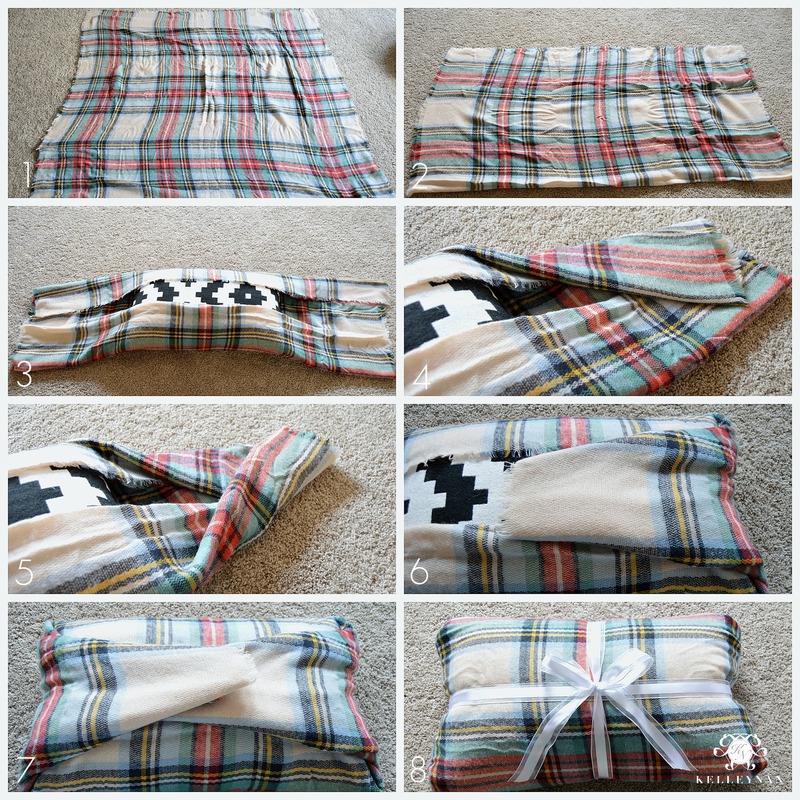 It was so easy and I love how they turned out; below, I will take you through three different types of blanket scarf pillow covers. I took a blanket scarf and an IKEA pillow that I had on hand and set to work. 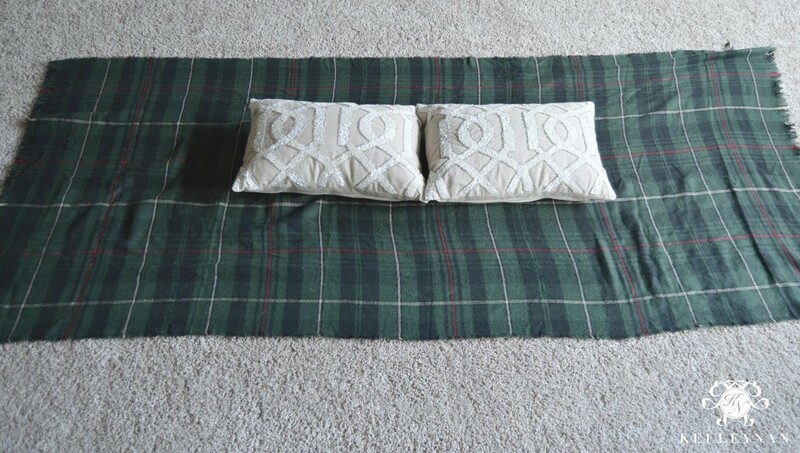 The second look I tried was achieved by taking two small lumbar pillows to create one long pillow. One quick trip to the pillow closet and I was set! After putting both pillows end to end, I followed the same steps as above. The last scarf I used was actually a new blanket scarf/poncho combo that had cute little toggles. This was the most time consuming (as in 10 minutes instead of 5) but still very simple. If you didn’t want it fastened with the toggles, you could follow the steps in the previous two instructions. Since I did want the toggles showing, I used this method. 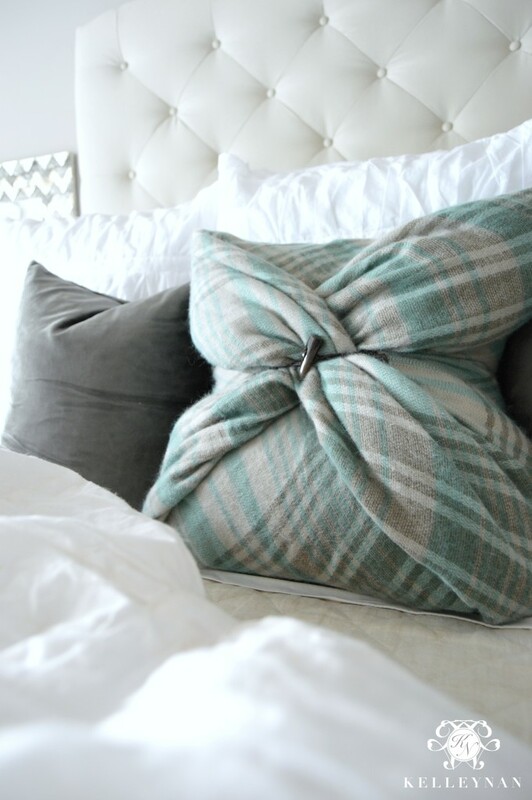 The possibilities are endless, but this is such an easy way to update your pillows without rushing out for more! 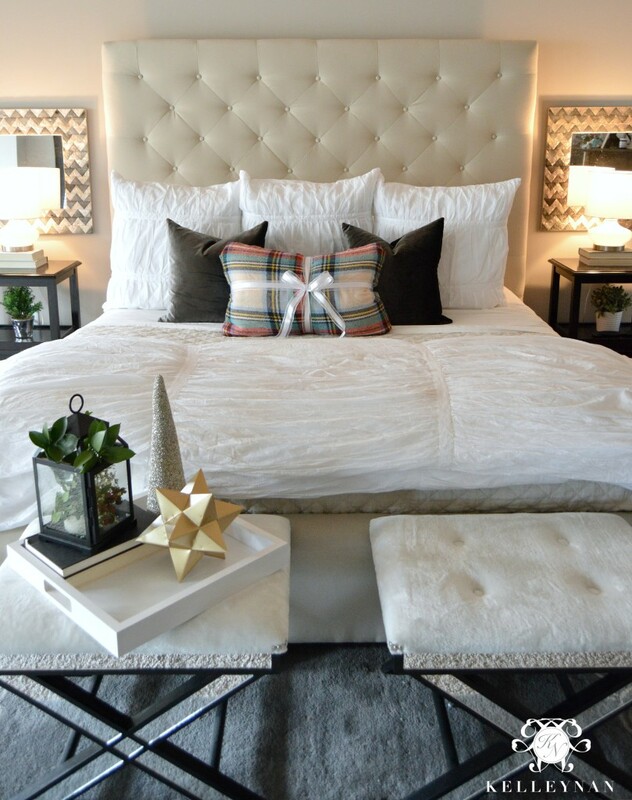 Also, because winter calls for layers, it’s ok if your pillows don’t look sleek; they should look like they are wearing a little sweater! Which is your favorite style? 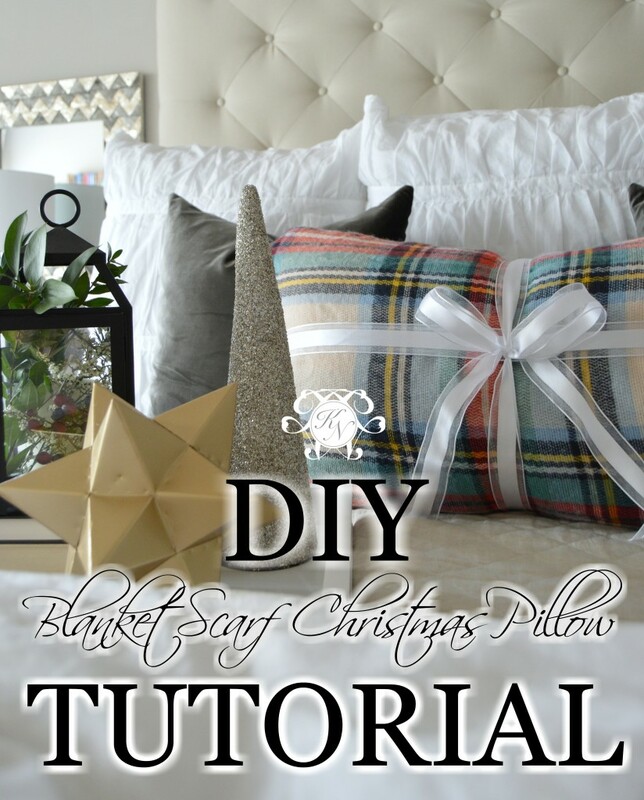 I would love to hear from you if you follow this tutorial or if you have your own way of updating your pillows! Kathleen, thank you! And so easy! Ok, I just love this. I have no plaid in my home and maybe one plaid shirt! But this is fabulous and I want it! Thank you for this innovative little tip!! I love that last one so much!! Tam, you are so good, I bet you can white that shirt into a pillow cover in no time! Tammy, thank you! So easy- I’m glad you enjoyed! Wishing you and yours a happy holidays, also! Oh this is just TOOO good!!!!! Thanks for sharing this Kel! Bree, thank you! You are so funny- it is too warm to wear them still so on my pillows they will stay! Why did I throw that pillow out the other day? It would have been perfect for this! I love the idea and will definitely give this a try. I love every one of your designs! Oh my goodness, you are right! You still have “off-season” pillows you can wrap up! Thank you so much for being such an incredible support. Very nice. Looks easy enough to do. Got to share this. Thank you! It is so easy and quick to switch a look. Thank you for visiting! You are my long lost design partner! Well, you and Bree! I’ve always had in mind to do the same thing with my scarves. Yours turned out fabulous! Love your creativity!! Where are the amazing lamps from! I cannot seem to find them anywhere!